Montpellier Maple (Acer monspessulanum): growing, planting, caring. A beautiful species, resistant to drought and poor soil conditions - turning an amazing red in the autumn. Acer monspessulanum - the Montpellier maple - is a species of maple native to the Mediterranean region. It is a medium-sized deciduous tree or densely branched shrub that grows to a height of 10–15 m, sometimes more. 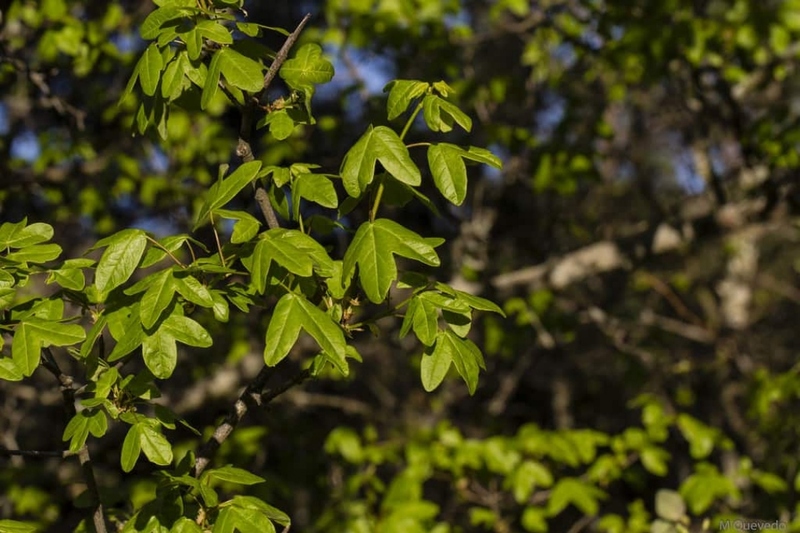 Among similar maples it is most easily distinguished by its small three-lobed leaves, 3–6 cm long and 3–7 cm wide, glossy dark green, sometimes a bit leathery, and with a smooth margin, with a 2–5 cm petiole. The leaves fall very late in autumn, typically in November. The flowers are produced in spring, in pendulous, yellow to white corymbs 2–3 cm long.